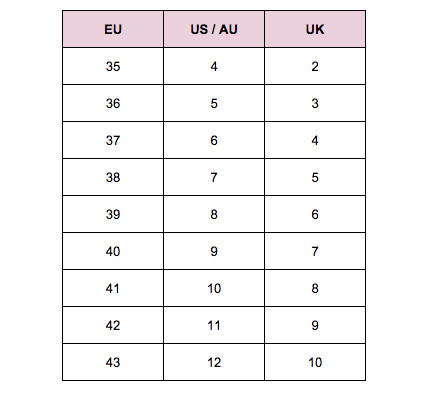 Available in women's Euro sizing - see size chart for correct fit! Awesome shoes! I purchased some previously & this is my 2nd order!!! Highly recommended for sore tired feet or anyone who suffers from plantar fasciitis! Super comfy , great value for price so pleased I got another pair in different colour.